It’s all about your story. Black Tent Productions creates affordable HD corporate videos for the web, mobile, and television. And because each client we work with in the Cincinnati area is unique and every message is different, we develop customized creative solutions. We first understand the challenge, then create the opportunity. We offer creative and quality video production in Cincinnati and around the country. With a strong emphasis on visual storytelling, our team brings compelling ideas to life and we help clients to communicate with their audience. A complete list of the services we have available to the Cincinnati market is available here, and to see examples of our work be sure to visit our portfolio. Video production companies in the Cincinnati area are seeing an uptick in business because many businesses in the Cincinnati market are shifting marketing dollars towards corporate video productions and the reason is simple —ease and accessibility. It’s so much easier for a consumer to watch a product or service video, as opposed to trying to read about it. Customers in Cincinnati, and around the country are busier than ever before, and they simply don’t have time to waste reading through large catalogs. 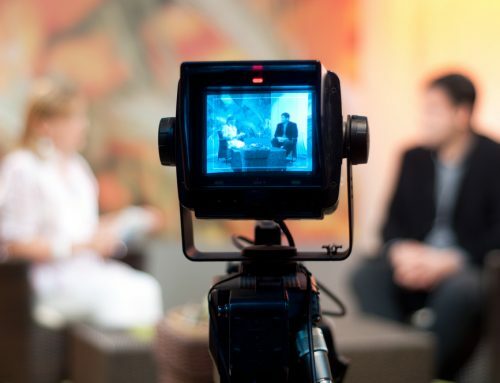 They need to make informed decisions quickly, and high quality video production provides businesses with a way to showcase their products and services in very compelling ways. In today’s hyper-competitive environment, messages need to be clear and concise, yet filled with detailed information to describe products or services, while separating you from competitors. In other words, you need to say a lot, and in a short amount of time, and video is the perfect medium to deliver these impactful messages. More and more companies in the Cincinnati area are realizing the potential of high quality video production, and their customers actually prefer this style of marketing. More and more businesses in Cincinnati are wanting to know how they can access the growing web video market. Creating a quality web video production in the Cincinnati is easier than ever before. There are many different companies providing corporate video production services in the Cincinnati market; however, Black Tent Productions offers fast & affordable video production for web, TV and social media. Black Tent is an award-winning video production company based in Cincinnati, Ohio, offering creative development, video production, post-production, and photography services worldwide; including commercials, corporate videos, web videos, product videos, trade show videos, event videos, and training videos.